Home » 3 Easy Ways to Make Your Instagram Stories AMAZING! What is a “Story,” anyway? Instagram stories and other “Stories” are the newest addition to social media, but they’re arguably one of the most important social aspects for businesses. It started with Snapchat, and Facebook has joined the game most recently, but Instagram is really the sweet spot for sharing stories. While Snapchat was the reigning (and only) story platform for a time, new studies have shown a significant decline in Snapchat’s usage and viewership. Instagram, on the other hand, has 300 million active daily users. The popular app has long been a great tool for editing and sharing beautiful photos, but the Stories element brings something different. Traditional photo posts are great for many things, but in the end, maintaining the curated, eye-pleasing Instagram aesthetic that we all strive for can be a bit limiting. In comes Instagram Stories–where your brand can more freely and creatively express itself with video, text, boomerangs, polls and questions, mentions, hashtags, and more. Social Media Today describes it as “[capturing] everything in between and [creating] a bigger, richer story than a series of individual photos can provide.” These stories can be as simple or as highly-produced as you want them. The options are endless! The Instagram story ratio is 9:16. Double check this before you make anything or it won’t upload correctly! Each story is 15 seconds long, so edit appropriately. 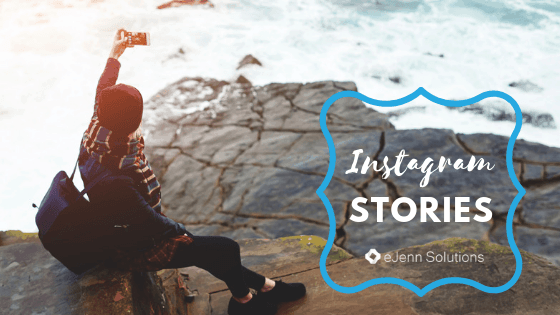 So what can you do to create beautiful and engaging Instagram stories? Here are three apps to help you get started. Kapwing offers a variety of tools to help you with your social media game. We love Kapwing for Instagram stories though, as it’s the only app that allows you to edit on your desktop. 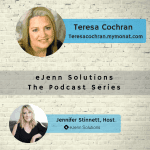 Their templates are simple, clean, and really allow your content to shine. Add video and still photos in the same frame, or choose a template with text boxes to share a story about your product or brand, along with your chosen image. No more text covering half the photo or cluttered, unappealing designs. Kapwing will keep your story looking clean and professional, while still letting your creativity shine. Preview is a mobile app with a wide range of unique features that will improve your Instagram in every way. What makes it great for Stories is the ability to not just edit and design, but also to plan and schedule your uploads in advance. These features work for traditional posts too, helping you plan a great feed ahead of time and add relevant hashtags to expand your reach. Don’t forget to check out the Analytics tool for key stats on views and engagement! InShot is another popular app for making high-quality Instagram stories. Shoot photos or videos on your phone’s camera and upload them to InShot where you can do a number of editing tricks, such as add video special effects, adjust photo backgrounds, create slow motion or hyperspeed clips, build collages, resize files for the 9:16 ratio, and more. InShot’s tools will transform your stories in no time, and they make it so simple to do so! Instagram is an incredibly popular format for businesses of all sizes. 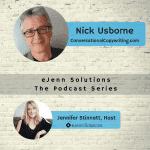 Use these three simple but game-changing tools to make sure your brand stands out from the rest, with beautiful, engaging Stories that connect you with new and returning customers. 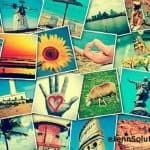 Should You Post Your Instagram Pictures to Twitter?